If you are renting a property, renters insurance is the easiest way to protect yourself. While you may not be responsible for the structure you are living or operating in, this type of insurance is often required by landlords of both residential and commercial properties. 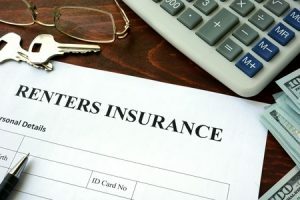 Renters insurance will protect you from any losses due to fire, theft and a wide variety of other potential pitfalls. Your landlord will, more than likely, have a strong homeowners or commercial policy in place to protect their investments, but they won’t always have contents insurance to reimburse you for your possessions and valuables. That is why they will often require you to provide them with a renters insurance policy number to ensure that you are protecting yourself. Not only will it protect a tenant from fire, theft or vandalism, it will also prevent the tenant from being held personally liable should a guest or visitor injure themselves on the property. If you live in Tampa, St. Petersburg, Clearwater, Dunedin, Tarpon Springs or the surrounding cities and need a renters insurance policy for your new or current rental, contact us today! We have worked with residents and business owners throughout our local communities for almost 30 years and have built lasting relationships with each client along the way. We are happy to provide quotes for contents insurance, workers compensation insurance or nearly any other insurance policy need.